We Provide Career and Leadership Development Programs for your Latina Employees. Despite honest efforts from many organizations, a large percentage of female staff remains disengaged. This is truer for the growing number of Hispanic employees. Our programs can help you turn this around. As the FIRST career and leadership development company focused on Latinas, we have the cultural know-how and expertise to provide them with all the resources and coaching they need to take their careers to the next level. Increase productivity, reduce turnover, heighten engagement and employee satisfaction, and positively impact your bottom line. Grow female representation at the highest levels of decision-making within your organization. With an understanding of the Hispanic culture, both in the U.S. and in Latin America, and with the use of a proprietary methodology, our career and leadership development programs will help you achieve these goals. We offer individual and corporate solutions for talent development that include: year-round coaching and training, events, webinars, workshops, access to the transformative power of Mariela Dabbah and a team of international experts, plus the all empowering Red Shoe Tuesday. We are not just another career and leadership development company. We are also a movement! Let Mariela Dabbah ignite your employees’ enthusiasm and inspire them to take action! A force to be reckoned with, Mariela is widely-recognized as one of the most dynamic and powerful Latina speakers on Hispanic career & leadership development and empowerment out there. With a vibrant, smart, humorous style she can energize your event while providing insights that result in the kind of “aha” moments you only dream of. The charismatic, award-winning author of Find Your Inner Red Shoes is available for keynotes, Lunch & Learn and evening programs to welcome the Red Shoe Movement in your organization. Bring Mariela Dabbah to your next career & leadership development event! RSM coined the Red Shoe Tuesday Campaign as an invitation to wear your red shoes and ties to work on Tuesdays to show your support for other women’s career success. By wearing this weekly visual reminder, not only will you feel more empowered, but you will also contribute to keep top of mind the conversation about the benefits of having more women in executive positions and what women need to achieve career success at your place of employment. What are the Principles behind the movement? You can purchase the RSM Principles Poster in large quantities to display them around your organization. 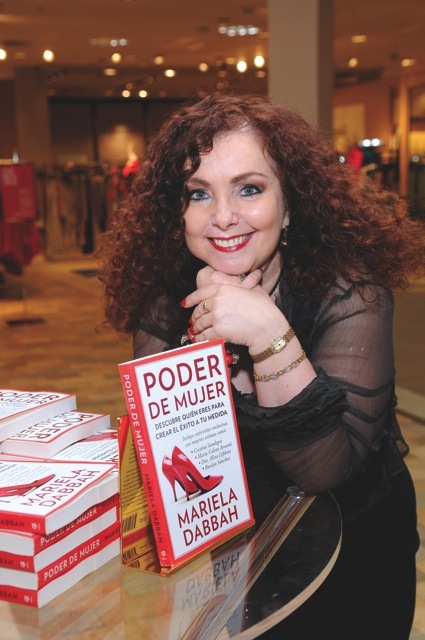 After years of research, personal experience, and the publication of Find Your Inner Red Shoes (Penguin 2013,) Mariela Dabbah, award-winning, best-selling author, realized women needed a new definition of professional success. Success as a journey, not a destination. A path they create for themselves. She also realized that in order to move the needle in female representation at the highest levels of decision making, the conversation needed to continue year-round on the opportunities and corporate culture necessary to advance in their careers. Mariela launched the Red Shoe Movement and coined Red Shoe Tuesday as the day when women wear red shoes to work and men wear red ties as a sign of support for women’s leadership development and career success. The movement is supported by 7 basic principles. Leading organizations are aware that higher representation of women at executive levels positively impact their bottom line. 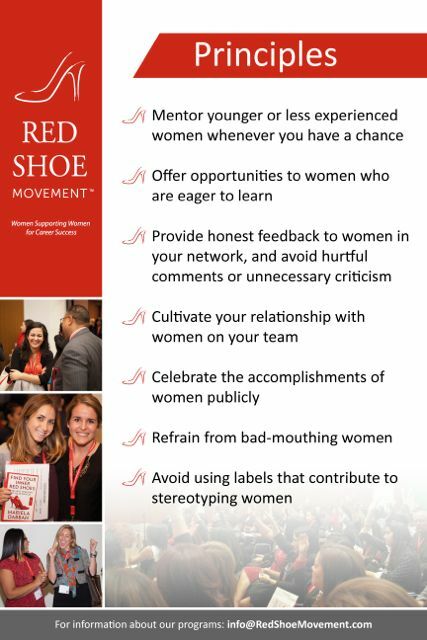 Companies across the world are bringing the Red Shoe Movement programs to their organizations as an effective way to attract, engage and promote their Latina employees.